The staff added about 50 tons of sand to the bunkers over the last few weeks to some thin areas. The new sand takes a few weeks to set up to have a firmer surface. 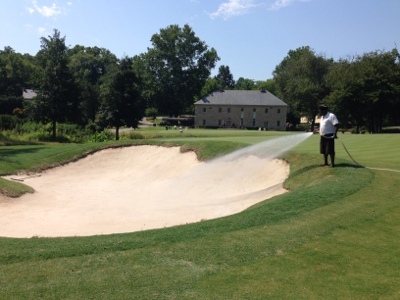 The wetting agent is used to help retain some moisture which will also speed up the firming process. 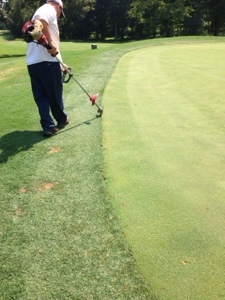 Edging greens is a routine task from May through November. This is done to help reduce any Bermuda grass contamination in the greens.